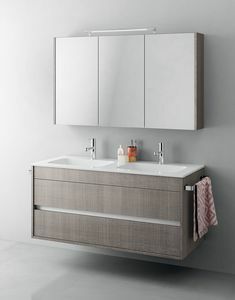 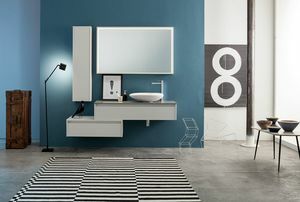 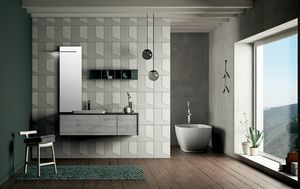 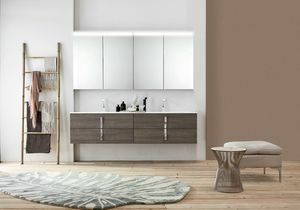 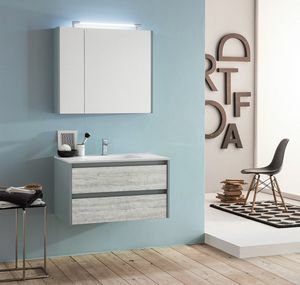 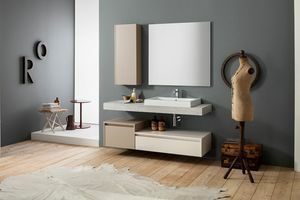 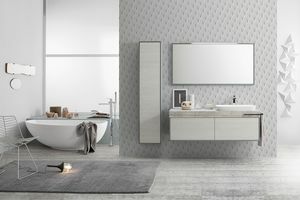 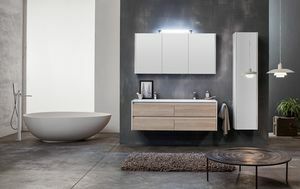 Vanity W129 D51/35 in Tortora Mat and Frassino Bianco. 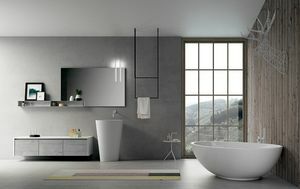 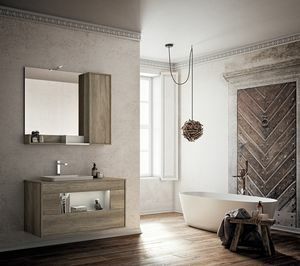 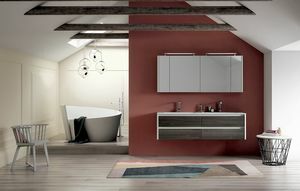 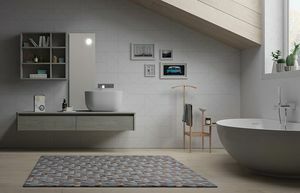 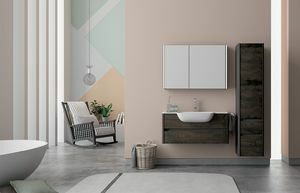 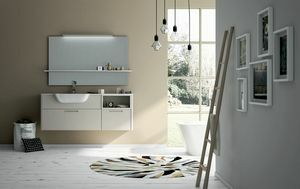 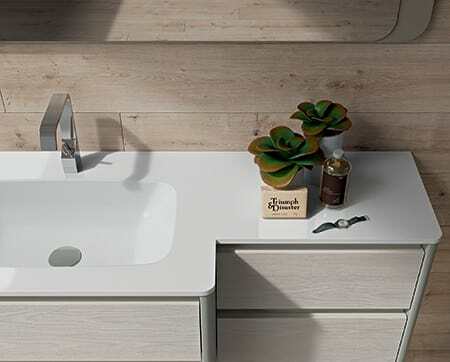 Vito integrated basin in Mak Lux. 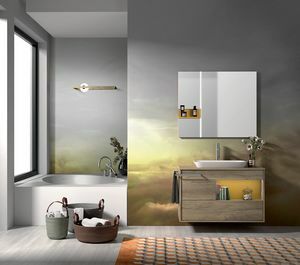 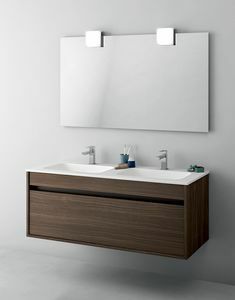 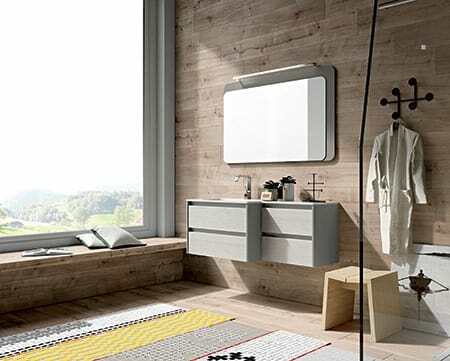 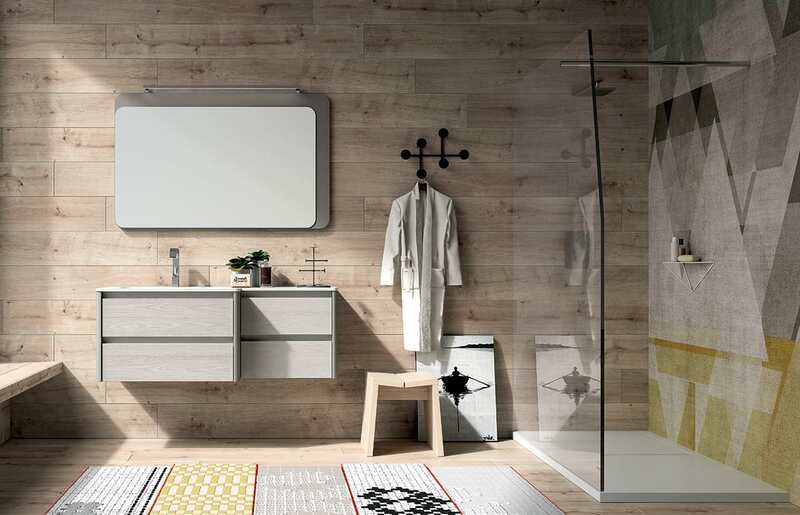 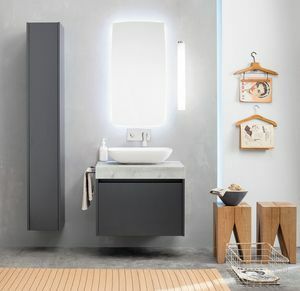 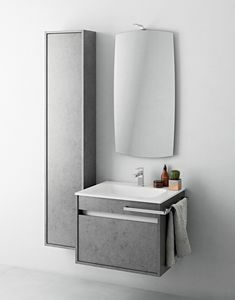 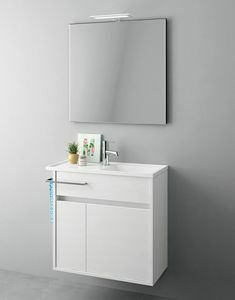 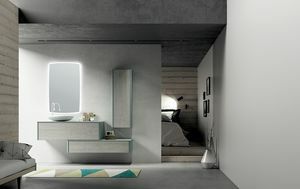 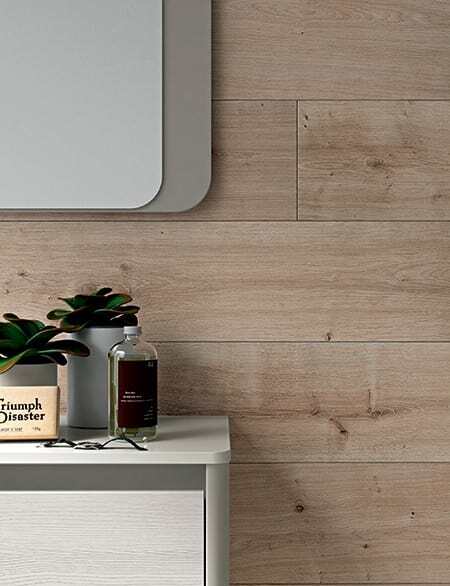 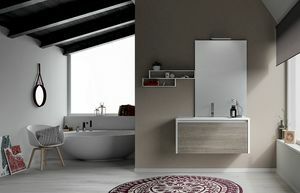 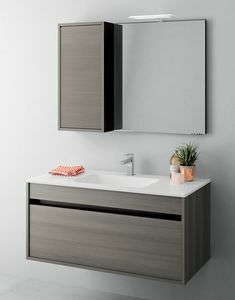 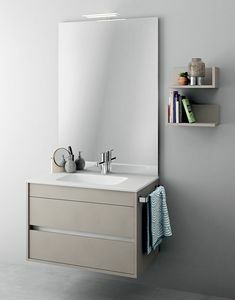 Mir Mat mirror in Tortora, Hi-Line light. 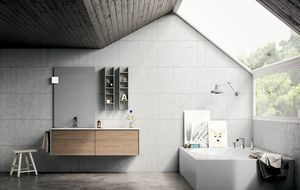 Dress 2.0 collection is characterized by curved sides. 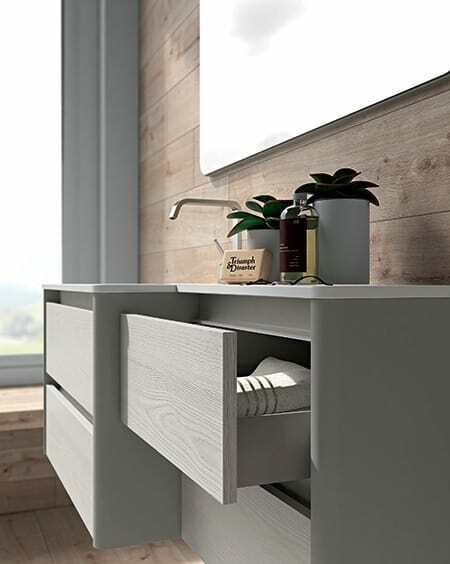 This feature creates a sober and refined style.